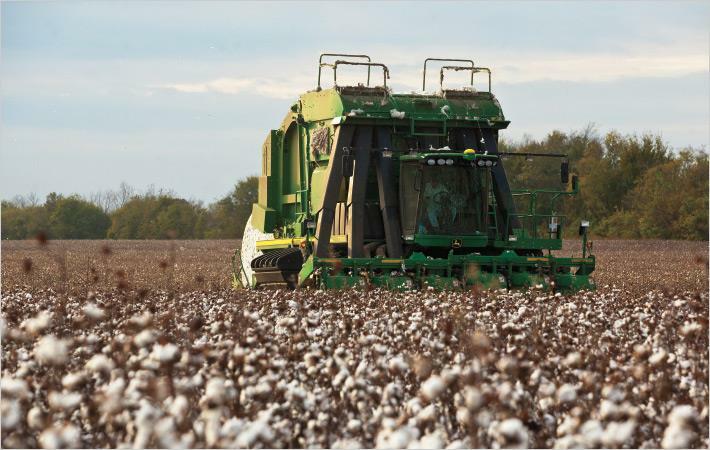 The Central Asian country of Turkmenistan is expecting production of 1,050,000 tons of cotton during the current year, for which harvesting will begin this week. Around 545,000 hectares of land was sown with various finely- and medium-fibres cotton varieties—133, Yoloten-7, Dashoguz-120, Serdar, C-4727, Yoloten-39, Yoloten-49, etc—in spring. The main cotton growing provinces of Mary, Lebap, Dashoguz and Ahal are projected to produce 313,000 tons, 300,00 tons, 230,00 tons and 207,000 tons of crop. For the current harvesting season, there will be high level of mechanisation compared to previous years. The harvesting process will involve 1,076 harvesters, 2,261 vehicles, 2,162 tractors and 325 trailers, the state news agency of Turkmenistan said. Harvested cotton will be collected at 156 reception points, and will be further processed at 38 cotton ginning plants across the country. Experts from Turkmenstandartlary—a government organisation—will ensure strict quality control of incoming production.